Lynne is a career educator having taught several different grade levels in both the Alberta and BC public school systems, as well as college classes. The most rewarding years of her teaching career were spent with students having special needs which prompted Lynne to earn a Masters of Education degree in Special Education. After several years of collaborating with community service providers to create the best possible program for the students in her special education classes, Lynne completed the requirements to become a practicing Educational Psychologist. Keeping up with current research and a passion for learning led to a PhD program, for which she has completed all coursework. 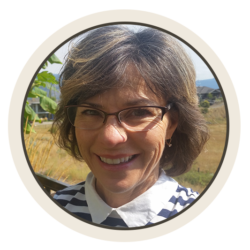 Aside from her career, Lynne enjoys being active and taking in all that the beautiful Okanagan valley has to offer. Lynne believes that contributing to our community is both a privilege and a responsibility and she pursues such opportunities as a member in a Kelowna Rotary club. Time spent with friends and family is a precious and sought after ingredient in Lynne’s life.